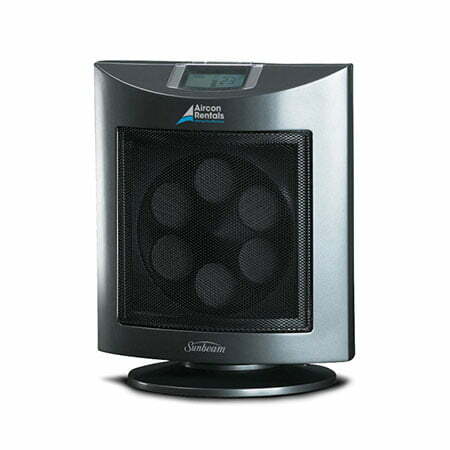 Micro Furnace 2400W Heater uses a ceramic heating element. Operating from a standard power point, the micro furnace has an on-board electronic thermostat that regulates both fan speed and output. The external temperature sensor provides accurate temperature measurement and the LCD display accurately shows the room temperature and selected settings. Featuring a roll-over safety switch, the micro furnace is cool to touch and will successfully heat single offices and spot heating applications. For more information when on how to renting heating call Aircon Rentals on 1800 626 996.